Improving your smile can increase your self-confidence! Whether you want to look extra special for an upcoming wedding or graduation or simply want your teeth to sparkle, a teeth whitening treatment with Dr. Ali Behzadi, DMD in Orlando, FL can help you achieve a bright white smile. Our teeth can discolor through the years as our enamel wears down. The wearing down of enamel allows dentin, a yellow color substance that makes the core of our teeth, to show through. This is what gives our teeth a yellowish tint. Dental teeth whitening helps restore teeth to a shiny white color through the use of bleach. Discoloration is one of the most common and easily treatable cosmetic dental problems. You can whiten your teeth if they have become stained from coffee, wine or tobacco, or if your smile is simply less bright than you prefer. If you’re feeling insecure about your smile, take a look at the various options at Dr. Ali Behzadi’s Your Downtown Dentistry and contact us for a consultation today! Throughout the years, tea, coffee, tobacco and even types of medications add to the inevitable increase in stained teeth, causing people to become self-conscious, smile less and even look older. Drugstore whitening kits can be less effective and actually damage your gums if performed incorrectly. An expert cosmetic dentist, like Dr. Ali Behzadi, should always monitor treatments to ensure they are performed correctly. At our Orlando dental practice, you’ll have a luxurious experience as you relax in our comfortable office with access to many of our spa treatments, such as a paraffin hand treatment while relaxing in a massage chair. In as little as an hour, you’ll leave our office feeling more striking and confident. 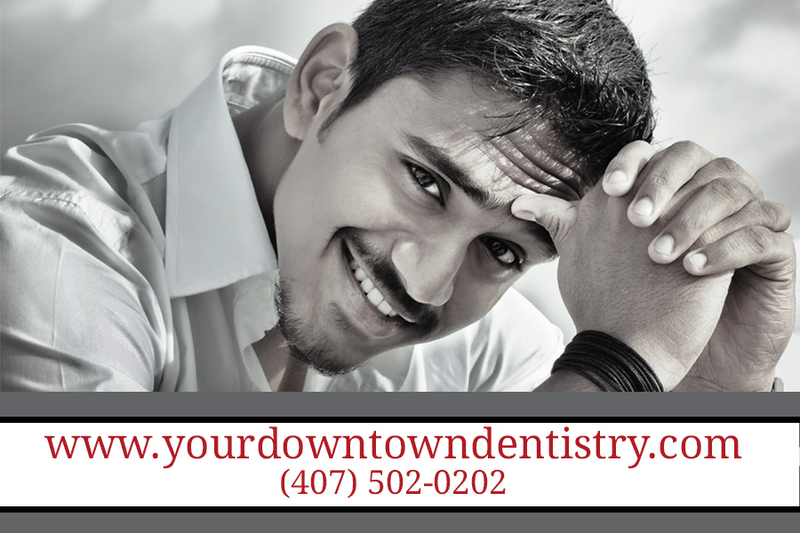 Contact Your Downtown Dentistry to quickly achieve a brighter, more confident smile through one of our safe and effective whitening options. You can call (407) 502-0202 for more information and to schedule a teeth whitening treatment appointment with Dr. Behzadi. Dr. Ali Behzadi’s Your Downtown Dentistry, is committed to providing the most professional form of dental work possible. We know that your teeth are very important and that’s why we are here, we’re here to make sure that you receive professional oral care so that you don’t have to worry about it. We guarantee our work at a cost that is affordable, as long as you are doing your part to make sure that your mouth is taken care of. For many people, having the best smile one can have is a very important aspect of how we feel about ourselves. One problem that many people face is teeth discoloration, especially as we get older. If you’re interested in getting a whiter smile through one of our proven treatments, make an appointment in Orlando today! Restore Your Shiny, White Smile.